My baby is a total cuddle bug. She's a tiny two month old and weighs only 8 pounds. I stay at home with her everyday and she likes to go with me around the house. The best way to keep her with me and get things done around the house at the same time is to have a sling carrier. 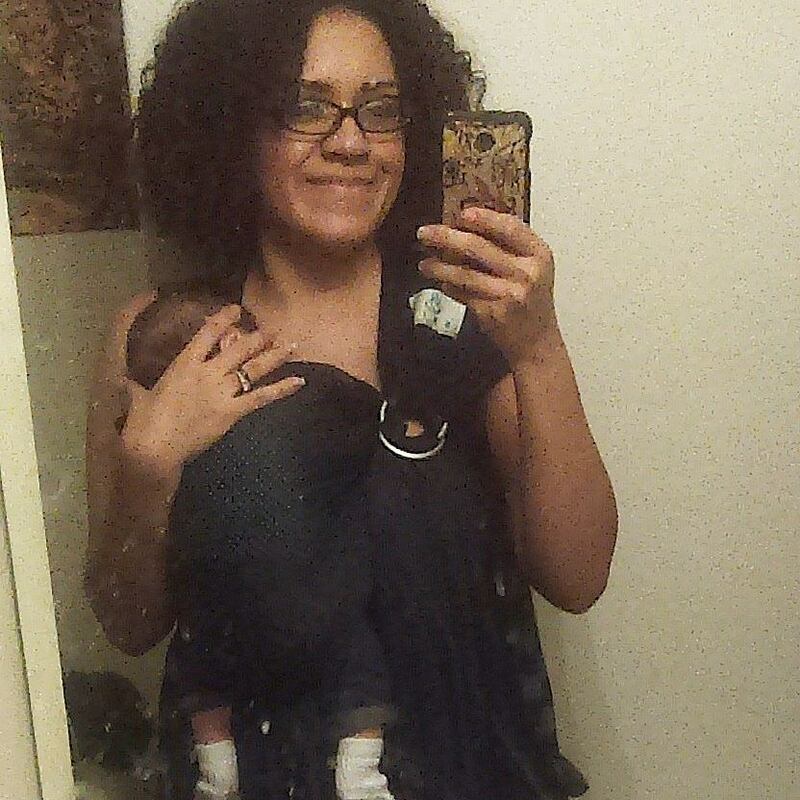 I have one other carrier but due to her tiny size she can get a little lost in it. Another mom suggested that I try a ring sling since she is so small. I jumped at the chance to review one. When I first received it, I examined the material. It is a mesh material- breathable and something like what you would find in the swimming section at the store. (I actually own a swimsuit cover of the same material) To me, this means that this carrier can get wet and be just fine. I like that and I like that it shouldn't get too hot to when my baby is in it. Now, I didn't see any instructions in the packaging on how to use this, so I was a little confused. Since, this was my first time using this, instructions were definitely needed. I just went on YouTube and watched several instructional videos to learn. I practiced adjusting it and even practiced with a doll first because I wanted to make sure to get it right before putting my actual baby in it. Adjusting the ring is not too difficult to learn how to do. Once I thought I understood, I finally put my baby girl in. It was a little awkward at first, but then I got it. I found it was way easier to carry her around in this ring sling than my wrap carrier. It has excellent support and it doesn't feel like I'm carrying anything at all. She appears to be very comfortable because she always falls asleep whenever I have her in it. I 'm very happy with that. I was able to do grocery shopping, blogging, laundry, and writing, with ease. The whole time she was so relaxed. In fact, when I took her out, she got fussy, so I put her back in for a while.